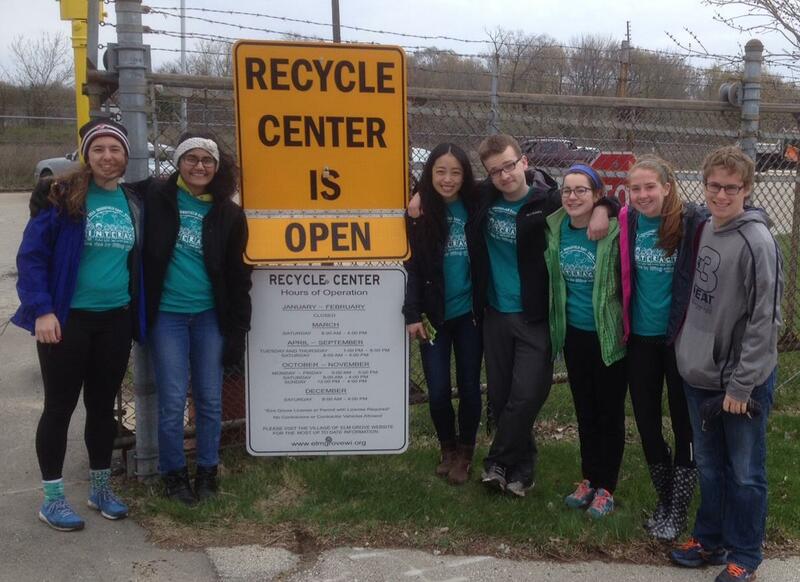 Brookfield East Interact Club Clean Up! The Brookfield East Interact Club recently took on a project to support and recognize Earth Day which was on April 22nd. The Interact Club talked with Club Supervisor and Vocational Committee Chair, Dan Roads about ideas for a project and they were aware of past Interact clean-up projects that Club Member Jack Nelson had coordinated. Jack referred Dan to Richard Paul at the Village of Elm Grove Park's Department then scheduled a time to tour the Recycling Center that’s located south of the Elm Grove Village Park. They thought it could use some attention so it was the perfect choice for the project. A total of 7 volunteers originally signed up for the project that was scheduled on Saturday, April 25th. Fortunately, a total of 11 people showed up on the day of the event and their efforts over a three-hour period made a big impact on the Recycling Center. The Village provided garbage bags and the group picked up everything from debris and bottles, to tires, auto parts, cans, and plastic containers of all types. They even walked the creek (in waders) to pick up garbage in the water like pallets and metal construction waste. Everything was collected and brought to the Recycling Center and it was such a significant amount, it would’ve been nice to see how much it all weighed! According to Dan, the Interact Team did such a great job and he received an e-mail afterwards saying that they had a 'really good time" which is a surprising thing to hear considering it was a work project. Dan commented that this speaks to the attitude the kids brought to the effort and for the projects they'll take on in the future. In addition, everyone said they’d like to do the project again next year. We look forward to seeing what the Brookfield East Interact Club is up to for the rest of the school year. Thanks to Dan for all your efforts.